Sarah Clark’s family endured the hardships of a wagon train journey from Pennsylvania to pursue a dream of land ownership in Kansas. Now the family of four scratches out a hardscrabble life on the windswept plains. Happily anticipating a long-awaited birth; the child does not survive. 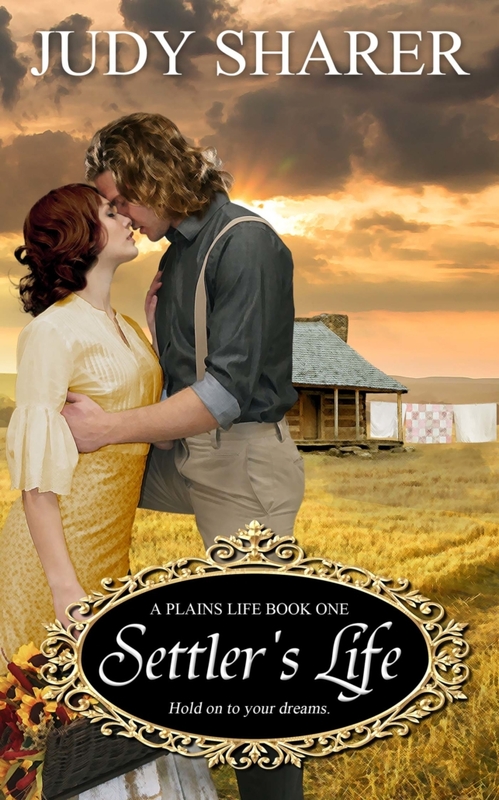 A stagecoach robbery and shoot-out take the life of Sarah’s husband, forcing her to make life-altering decisions. To keep a promise to his best friend as he lay dying, Mark Hewett is forced to lie to Sarah whom he has grown to love. Can he keep his word and save the family who now relies solely on him? His necessary deception holds the potential for disaster as the family struggles to survive. Will personal loss, heartache, pain, and prevarication lead to destruction? What will happen: survival or defeat; loyalty or deception? Subscribe to Judy’s newsletter for updates about new books, appearances, and exclusive subscriber content!